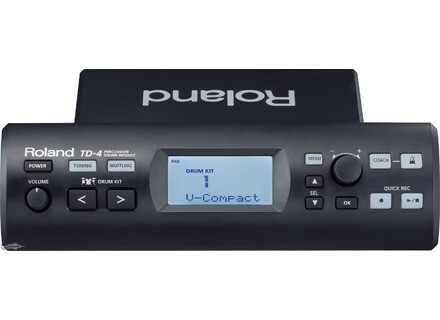 TD-4 Module, Electronic Drum Module from Roland in the TD series. Roland has announced that the TD-4S V-Drums Kit is now available. The included snare pad features the feel of Roland's multi-layer mesh head designed for dynamic response. A newly designed four-legged drum stand is also designed to allow flexible and solid positioning of the pads, and to place the TD-4 module in the center for easy access. New Shadow Website The new Shadow Electronics website is now online.